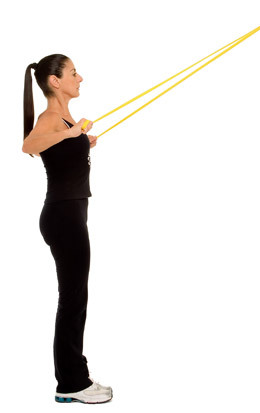 Start by pulling the bands towards you, until your hands get close to your chest. 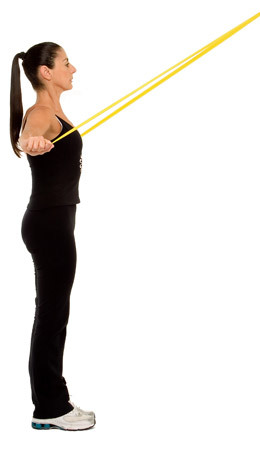 Proceed to pull the bands out and to your side. at shoulder height. Resume the starting position. Repeat 10-20 times.